A Northern California native, Taylor moved to Southern California to attend Whittier College. Upon graduation, he began formulating an innovative marketing strategy which he launched, in 2010, as FilmBreak, a marketing platform and crowdfunding agency. FilmBreak allows creatives of all verticals to build and engage their fans earlier than ever before through platform agnostic crowdfunding and innovative social media marketing. FilmBreak gives clients the consumer momentum needed to release a new film, launch a new product, or raise a round of financing. FilmBreak’s clients include Entertainment One, Sean Astin, Zachary Quinto, George Lopez, Britt Robertson, Lil Wayne, Doug Jones, and others. 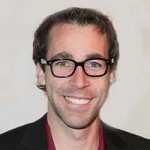 An enthusiastic member of the Southern California technology community, Taylor has recently been featured in Variety, Forbes, Los Angeles Business Journal, and San Francisco Examiner. “Set yourself up for success” is an oft-mentioned adage when discussing new ventures, and, despite its clichéd nature, can be applied just as well to crowdfunding campaigns. 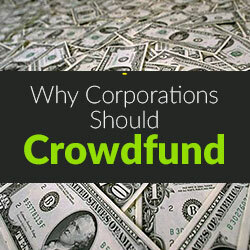 Crowdfunding is a valuable strategy to implement in the early stages of a company or product, however, the sheer number of campaigns on the market today forces creators to find new ways to rise above, get discovered, and become the next ‘Coolest Cooler.’ Despite the misconception that each crowdfunding platform is a generous community of benevolent donors waiting to open their wallets, the truth is that the vast majority (about 94%) of the funds raised for the average campaign are a result of the blood, sweat, and tears that the campaign team puts into building awareness and executing on a plan. It’s important to think about a crowdfunding campaign similarly to how you would think about a presidential campaign. It would be unrealistic for any of us to wake up one morning in late October 2016, decide to run for President, and expect to win. Why? Because we haven’t prepared. We haven’t assembled a campaign team around us, we haven’t crafted clear and simple messaging that tells the public what makes us special. We haven’t built a grass roots movement of evangelists and early-donors. We haven’t spent hours calling on phones and knocking on doors. In short, we haven’t set ourselves up for success and that is a disservice to our campaign, our team, and ourselves. For campaigns that we run at FilmBreak, I like to engage at least eight team members who begin work at least two months before we plan to launch the campaign. This team includes a Campaign Manager, Art Director, Social Media Director, Public Relations Director, Blog/Influencer Outreach Specialist, Video Producer, Media Buyer, Web Developer, and as many helpers as possible to spread the message. Using a team like this, we are currently preparing a campaign for AVAcore Technologies’ CoreControl that will be launching in late February on Indiegogo. The preexisting professional version of this product lowers core body temperature, allowing for an extended and superior performance of professional sports teams as well as competitors on THE BIGGEST LOSER. The goal of this campaign is to raise awareness of the product’s track record as well as enough funds to produce a consumer version of CoreControl that will be available to the general public. As a first step, even before the team official engages, it’s important to create strong, consistent messaging that will act as the theme through the campaign. 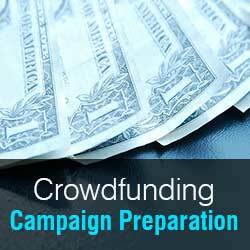 Depending on the product, some of this messaging might already exist, however, always be prepared to edit it to better cater to the crowdfunding audience. In the case of CoreControl, a product that has long been used by teams like the Seattle Seahawks and Golden State Warriors, we developed the slogan “Cool from the Inside Out” and focused the messaging on amateur athletes who were looking for that “cool advantage” to springboard their New Year’s Resolution. Once the messaging is solid, it’s time for research. You need to know what you have to work with and who you can rely on when it comes time to launch. In the case of CoreControl, we reached out to current satisfied users and told them that we were going to be releasing a cheaper, smaller version of the product that would have the same great benefits for weight loss, muscle gain, and endurance. These types of people are your grass roots supporters and will hopefully promote you to their large newsletter lists and social media communities. This effort should be on-going and include bloggers, social media influencers, and any people who have the ear of your primary demographic. With CoreControl, we targeted athletic coaches and personal trainers, demoing the product to them one at a time, always making sure they were comfortable with it, and making sure that we knew exactly how they would be promoting the product. (If they are comfortable with it, offer to write the tweet or newsletter for them. This will make both of your lives easier). While your grass roots influencer outreach is in process, start building out the crowdfunding page. Whether you’re using an existing platform like Kickstarter or are building out your own custom site, it is important to remember that people don’t like to read and it is the responsibility of your Art Director and Video Producer to make sure that they don’t have to. We, the perspective donor, should be able to scroll down your crowdfunding page and instantly understand what you do, why we need it, what we get for it, and why you’re the only team who can deliver it, without ever having to read a word. The same goes for the video, tell us what makes you different from the others and why we should support you. If I only watch your video for 10 seconds, I should have the answer to those questions, but if I watch all two minutes, I should be inspired enough to donate to your campaign and then brag about it on Facebook and Twitter. As you get close to your launch date, start focusing your growing grass roots movement towards that all-important date and mobilize your base. Just like at a campaign phone bank, have your team get on the phones and ask that base (friends, family, etc) to donate to the campaign on the same day that it launches. Your goal here is to reach about 25% of your funding goal on that first day. This early-donor exercise is very important. Why? Because it’s human nature to be skeptical of a good thing if no one else seems to care. It’s the same reason that new restaurateurs invite their friends and family on opening night. Random people won’t want to eat in an empty restaurant and random donors will rarely contribute to a crowdfunding campaign, no matter how awesome, until the campaign is at least 25% funded. So now you have launched your campaign, reached 25% of your goal, and things are going smoothly. Even though you have put three months of hard work in, you’re not done yet. Donors are very special and are giving you money with the belief that, down the line, your campaign will pay dividends for them. Make sure they feel valued with updates and thank yous. If you need to push a delivery deadline, that’s okay, but make sure you communicate what happened to your donors and how you will make it up. If you post one donor update per day your chances of hitting your funding goal will radically improve. All of your hard work over the past months has built up a tremendous amount of good will and your campaign can lead to great press, dedicated supporters, and enough cash in your pocket to make your vision come true. Crowdfunding is a great way to bring a new product to market or, as in the case of CoreControl, for an existing brand to launch a new line. You have put your heart and soul into bringing your product to life, make sure you dedicate just as much effort into bringing it to market.